This large, gray rock is experienceing both chemical weathering, and mechanical weather. Small rocks have spalled off from the parent rock, proably due to freeze-thaw action. 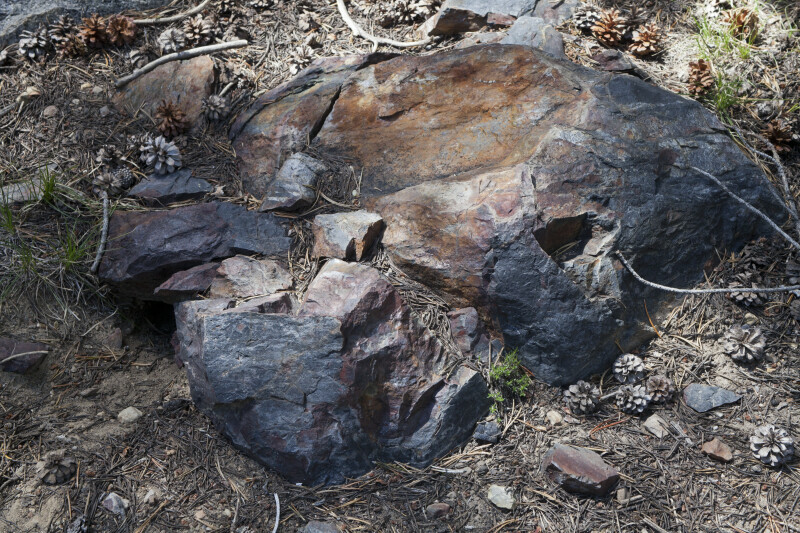 Some of the rocks constituent minerals are oxidizing, which creates the reddish-brown staining.